Singapore: The provisional liquidators of O.W. Bunker Far East (Singapore) and Dynamic Oil Trading (Singapore) said today that trustees and receivers in Denmark do not have secured rights over all receivables of the two Singapore companies, and that a receivable collection pact signed in Copenhagen last week does not limit their powers to act for the companies’ unsecured creditors. The provisional liquidators from KPMG were clarifying queries raised by customers and debtors of the two companies, some of whom were unsure who they should be paying to. The confusion arose from the fact that a global facility extended by a syndicate of banks to O.W. Bunker & Trading A/S and O.W. 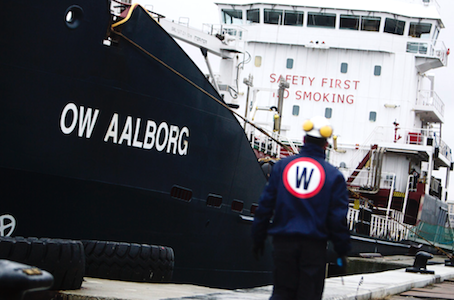 Supply &Trading A/S (OW Bunker Denmark) gave the lending syndicate claims over certain assets of various OW Bunker entities around the world including the two Singapore subsidiaries. The assets that were assigned and charged to ING comprise mainly receivables, and ING is the security agent for the lending syndicate. Bob Yap, one of the three provisional liquidators, said: “ING does not have claims over all the receivables of the failed companies in Singapore, only on those assigned and charged to ING. ING has appointed some partners of PWC as joint receivers while OW Bunker Demark which filed for bankruptcy on 7 November 2014, has appointed trustees to manage its affairs. The provisional liquidators from KPMG say they are not parties to the receivables collection agreement. As provisional liquidators of the two Singapore companies, KPMG said in a statement, they are vested with statutory powers to take custody and control of all their assets, including receivables to which the companies are or appear to be entitled, while ING is entitled only to receivables which have been “validly and rightfully assigned and charged” to ING.